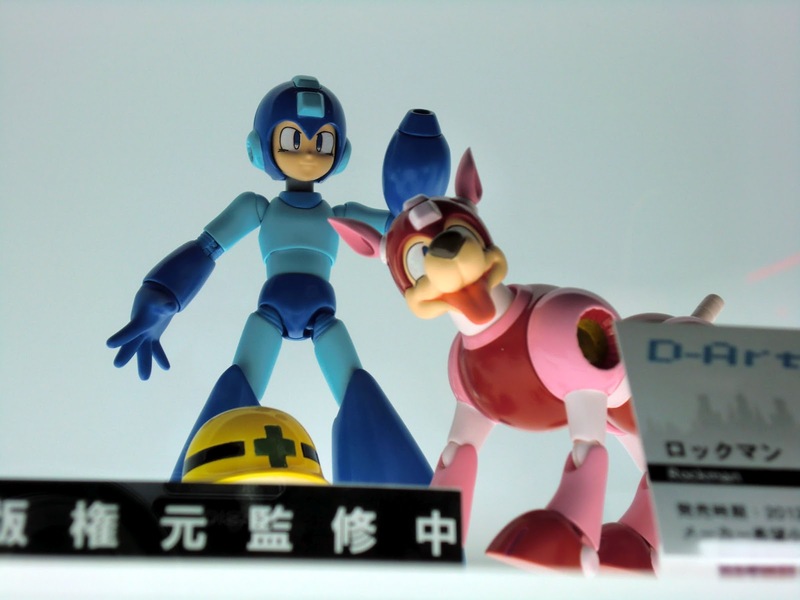 The rumors were indeed true: D-Arts classic Mega Man was on-hand at Bandai's Tamashii showcase this morning. 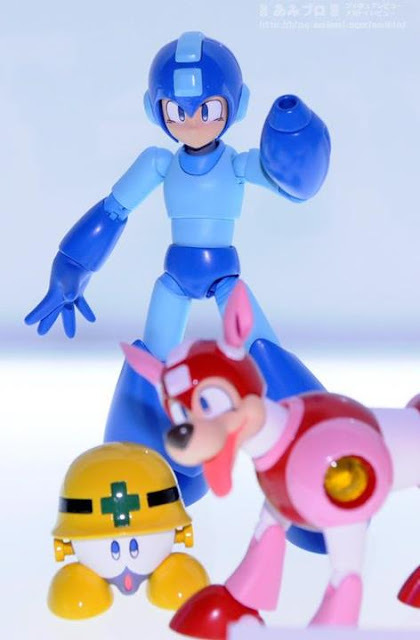 Rockman Unity and Amiami Japan were quick to unleash a bevy of photos, and as you can see above, 'ol blue is looking downright fabulous. You'll find additional photos after the break and more in the above links. According to reports, the figure will retail for 3,780 Yen (approximately $48 USD), and a Japanese release is planned for December. Given Bandai’s flawless track record of bringing over the X series D-Arts, I think it's safe to say fans in North America will have this one in their hands in no time at all. I will be communicating with my source at Bandai/Bluefin soon, so if you have ANY questions about the figure, drop them in the comments. It looks pretty cool, I guess. A bit thin, maybe. I think Kotobukiya nailed the classic figures. 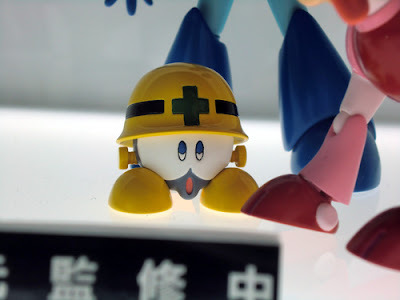 I see no reason why D-Arts should make them as well. A bit underwhelming as I'd like to see some different characters. Actually, scratch my last comment. After really taking a look at these new photos, I think it may be a bit better than Kotobukiya's. Just by a bit though, which is why I still think two similar figures is rather redundant. In other news, I really hope they release the Met this time. Maybe Rush will also be available? Somehow I doubt it as none of previous display accessories became available, at least to my knowledge. I don't think I've ever seen Classic Mega Man look this cool outside of Hitoshi Ariga's works. They did a good job of it. I wonder if either company could do one of Zero based on his X4/X5 art where he has not outer body on. Any chance of Japan getting an Ariga manga variant for Classic, just as they got the Iwamoto variant for X? And if not, any other variants planned, such as something like a red-colored Rush Jet edition? @Rock Miyabi: Maaaan, that is a good one! I have a question you can ask them, but it's not specific to this figure. What I'm wondering is, are they planning on doing more characters from the original series? And also, what about the possibility of also expanding into the Legends series at some point? As for the figure itself, it looks awesome. While the Kotobukiya model kits were cool, and had that retro look, they're on a different scale from the D-Arts so they look weird next to each other. This one's on the same scale (obviously, since it's a D-Arts itself), and interestingly, Mega Man seems to look like he did in Mega Man 8. Since the original series is my favorite, this is a must buy for me! Really looking forward to the release. Looks awesome. Not everyone has modelling know how, and the Kotobukia kinda requires it, mainly the know how and access to painting the model and clipping the parts off just right so no nubs are left. if you dont have any paints or anything, and dont know the right way to separate parts,(or cant) and just put it together that way- it ends up looking REALLY cheap. the D-Arts one however, has slightly more articulation, is more proportionate, (within the same proportions as the X series figures, rather than the big headed look of the kit) and doesnt require any additional detailing outside of opening the box. So for someone like me, that's really ideal, since I dont have model paints or gloss, and would prefer it to just be a figure as opposed to a kit. That would be cool, wouldnt it? I dont know just how feasible it is though, since making the special Iwamoto X series figures is far simpler, simply requiring some alternate colors and merely different faceplates, while Aria Rock is a completely different design that would require different molds. Although, given that they have made armors for X, it's definitely a possibility, but for a variant of the default, I dont really know if they would. Also will Bandai be continuing to do the classic & X lines for us fans because these have been the best MM figures in a long time & i for one would like to see the lines expand .. will we ever get figures of some of the Robot Masters & Mavericks?? 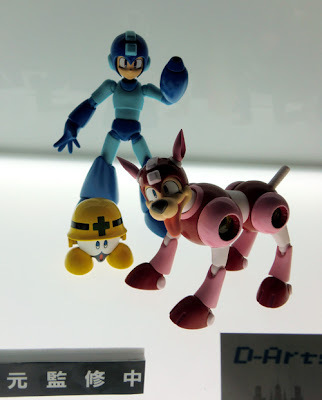 Wouldn't also mind seeing figures of Jet Megaman & Bass in his Treble Boost mode too! I could of sworn you were a builder or had knowledge of building, I read it on another blog I think? Looks like you were all talk. lol! But anyways! He looks cool, but not sure of his elbows and hips? Whats with all the lines? 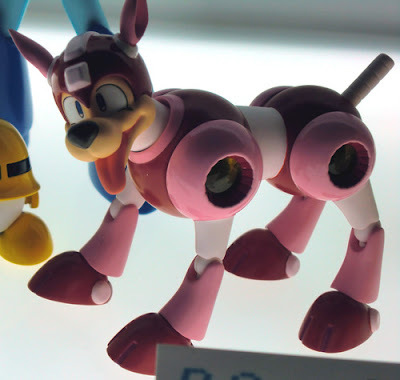 If its supposed to make him look more mechanical since hes a robot, then they should of painted them in a gray color. 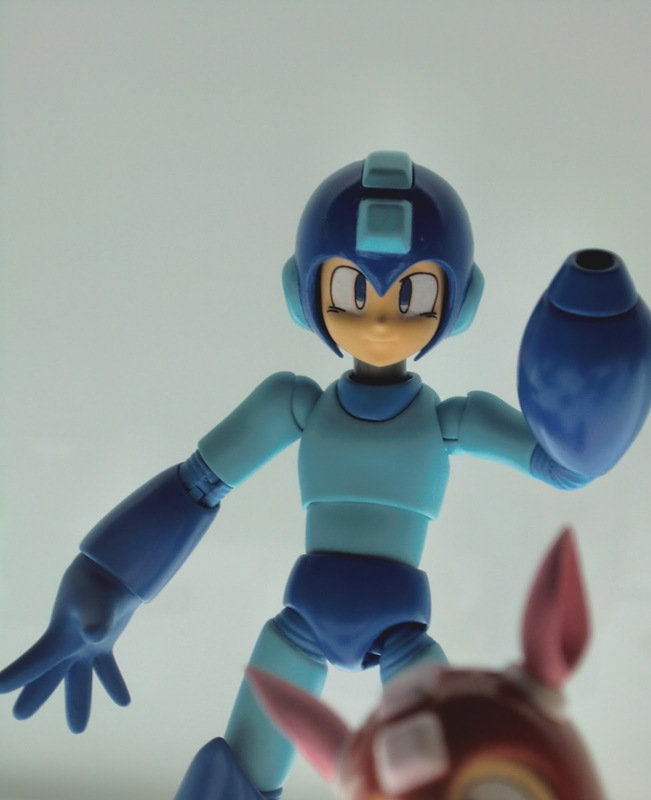 the d arts megaman looks awesome, way better then the kotobukiya model that has a overly huge head. The proportions on the bandai figure looks more accurate. I hope bandai also releases protoman and bass, maybe duo as well. That looks really awesome! I look foward to nabbing these figures if they get released in the US!